Neo Collars are thick and padded large dog collars that any sized dog can enjoy. Even if you have a rough and tumble Jack Russell Terrier, she has met her match with the durability of this collar! Wider dog collars are also much safer on walks with your best furry friends because they are less likely to cause as much of a choking sensation than some thin dog collars might, and this collar is so soft that it will be unlikely chafe your dog's neck from repeated use. 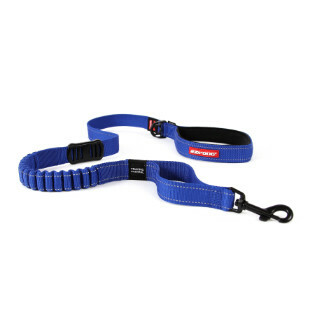 These dog collars can also be used effectively for dog training, and EzyDog offers some great leashes and harnesses to pair up with this amazing collar! Don't forget to check-out a matching detachable key chain that is a miniature version of this popular waterproof dog collar! I first purchased this collar from a retail store about 6 years ago and I just now replaced the old one, not because it had broken down or anything, but simply because it had gotten a little dirty and I hadn't been keeping up with cleaning it. This collar is highly durable and doesn't stink like some collars do. I love that this collar has the ability to get wet and it dries quickly. I have a very large Newfoundland and she loves the water. I will never buy any other collar for her. My pups love these collars. 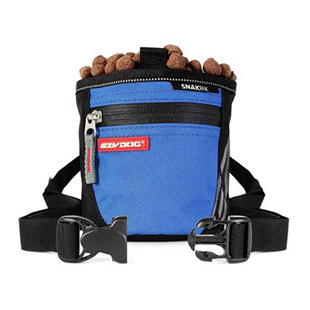 Add a zero shock leash for the best walks ever. True fan. We measured all our pups and only one collar fit. The collar that was meant to fit our heeler ended up fitting a wiener dog. The XL collar on my saints only fit one of them with the Velcro outside the safe parameters. Very disappointed that there isn’t an XXL or XXL size option because they would be perfect for our outside dogs. I've used these collars for over 8 years. I love them because they have a soft padding around the neck. Went through few collars but EZYDOG Neo Collar is really the best. Stop your searching. Buy it. You will not regret it. It's easy to garner rave reviews when everything goes well, but the real test of a company comes when things go wrong. I purchased a wide collar last year and my boy has managed to destroy it twice. I reached out to the company and submitted a photo showing the damage, and in both cases I had a new collar in my mailbox within a couple of days! Not only have I ordered additional product from them, I have referred several people to Ezy Dog as well... Taking care of your customer's pays great dividends... keep up the good work! EzyDog collars are the best! I purchased first EzyDog collar 4,5 years ago for my dog and now have only this collars for all my dogs and puppies. Great collars! Thats all I buy for my dogs!